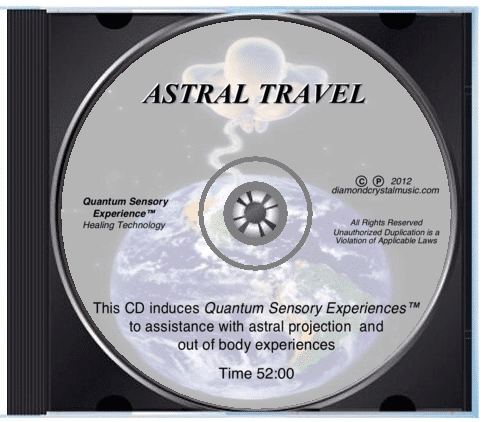 Relaxing, gentle swishing sounds embedded with Quantum Sensory Experience™ healing technology, to assist conscious awareness of “out of body experiences” for spiritual growth. 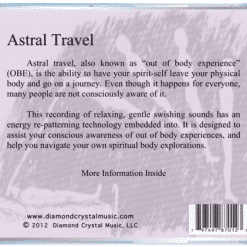 Astral Travel: Helps you achieve “out of body experiences” for spiritual growth. 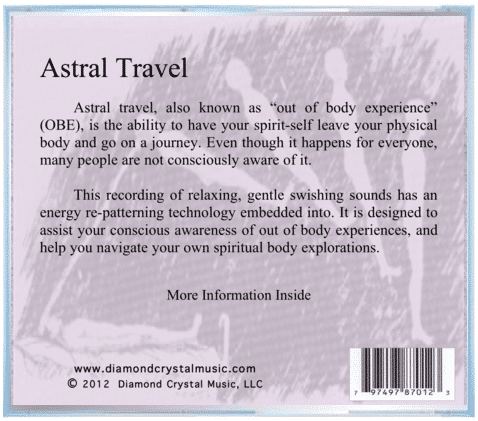 Astral travel, also known as OBE, astral projection, out of body experience, and soul traveling, is the ability to have your spirit-self leave your physical body and go on a journey. It is a more common phenomenon than what many people think, because it typically happens every night when you are sleeping. It’s just that you’re not aware of it. Some people consciously experience astral traveling from time to time, while others do it on a regular basis. But the larger percentage of people, have never had a “conscious” out of body experience. 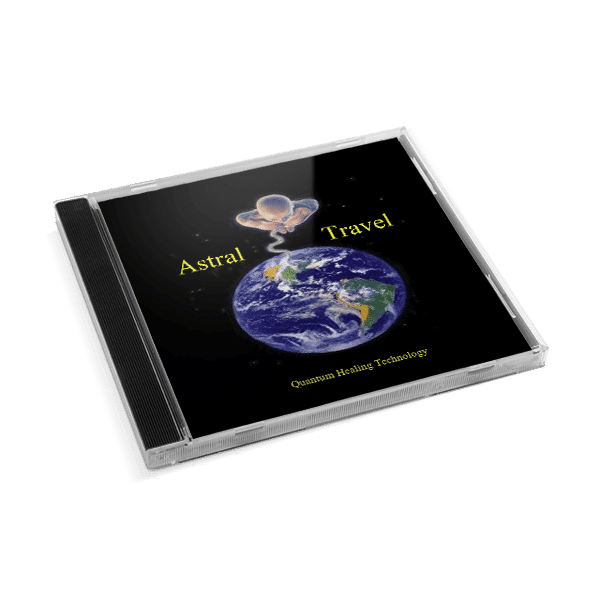 The energy technology used in this recording is specially designed to assist your conscious awareness of these natural experiences, and allow you to navigate your own spiritual body explorations. 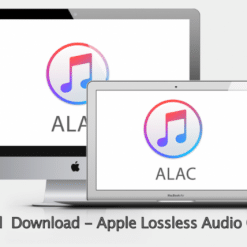 Play the CD through speakers at a low volume, and enjoy practicing OBEs. But be patient. It takes some people several weeks or even months to develop the ability to have these occurrences on a regular basis. 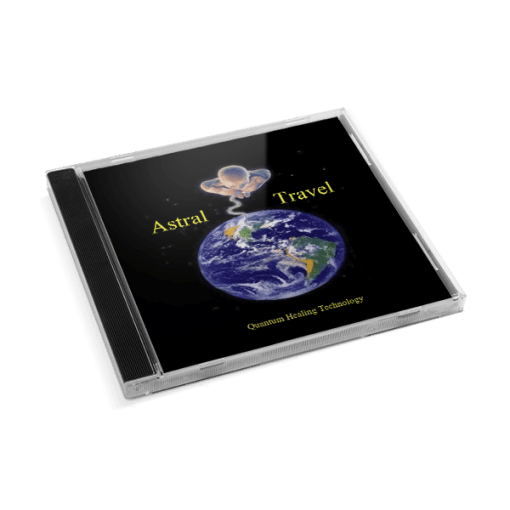 “Astral Travel” (52 Minutes) is composed of relaxing, gentle swishing sounds that are embedded with the Quantum Sensory Experience™ healing technology to assist with successful astral travel. 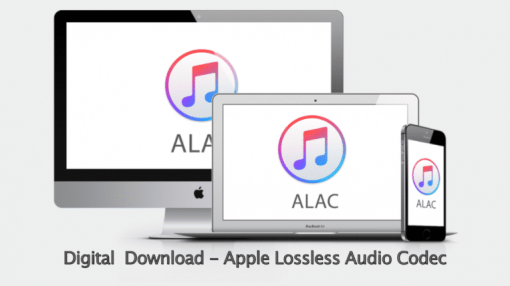 It’s a practical self-help tool to be used in the convenience of your own home. 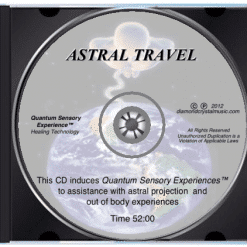 Developed by psychoenergetics scientist, teacher and musician Shad Diamond, to help “Open the Mind, Heal the Spirit and Regenerate the Body”™.